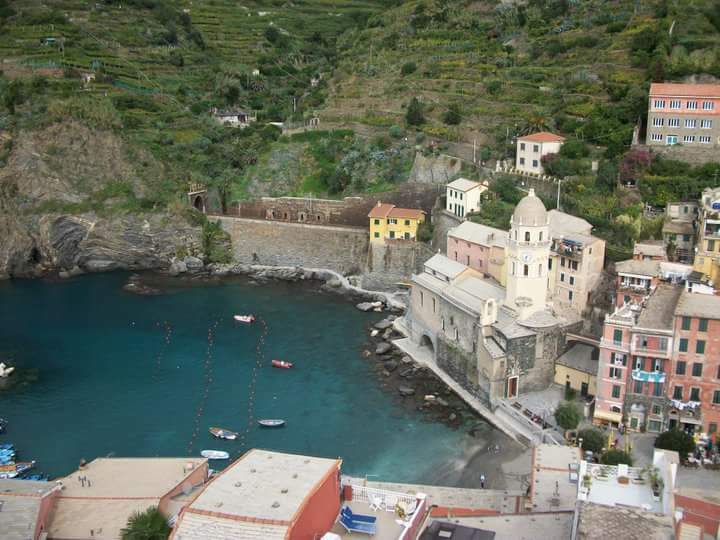 The hotel “Degli Amici” is situated in the historical center of Monterosso, surrounded by vineyards and olive trees, just 150 meters from the sea. All bedrooms have bathrooms with shower, telephone, satellite TV, safe, hairdryer and air conditioning. Reservation for two double rooms with daily breakfast. Beach Bar Stella Marina – Check into hotel and then head down to the beach to enjoy an afternoon at the beach bar, where for €8 we can reserve an umbrella and sun lounger. Take the 10:30 shuttle to Riomaggore then hike the Sentiero Azzurro, plan for one hour per city. Stop for a late lunch at Trattoria da Sandro then finish the hike at sunset (8:00) for amazing views. Enjoy a late morning, then take the 9:07 AM train to Pisa. Length: 1.2 miles (2km); 1 hour 15 minutes to walk.